The Lakes Country Club. Golf the Lakes Palm Desert. The Lakes golf course details and information about The Lakes Country Club in Palm Desert, California. The Lakes Country Club Palm Desert is a private golf and country club. It features three, 18-hole golf courses designed by Ted Robinson. From scenic lakes to waterfalls and fountains, the Lakes golf courses in Palm Desert are challenging for novice and advanced golfers. Members enjoy playing the greens all year long. The Lakes Golf Club also has 11 tennis courts, a fitness center, and a spa. The Lakes Countryclub is 50,000 square feet of dining and lounge space with a panoramic views of the Santa Rosa Mountains. Visit The Lakes Country Club in Palm Desert for unique views of the golf course, water features and surrounding mountains. 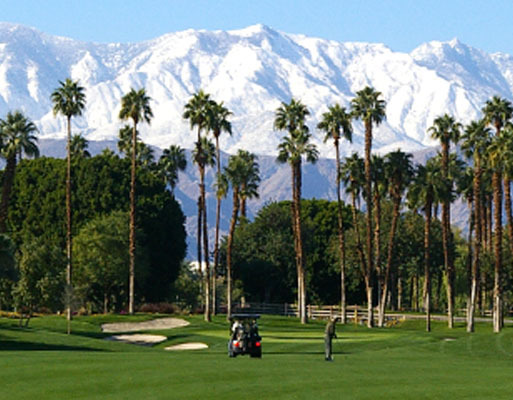 This golf course is one of the most luxurious in Palm Desert.